Everybody knows that blueberries are used in the food industry, but also extensively used in the pharmaceutical industry in preventing and treating many types of diseases such as: improving sight, cholesterol levels, improve memory, strenght of blood vessel, rheumatism, gout, immune system, helps the proper functioning of the intestines, keeping blood sugar levels under control – Diabetes self-management. 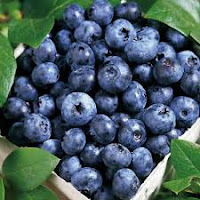 Like all berries, blueberries contain a high amount of vitamin C, very important in treating many types of infections. We can sell our harvest to two of the largest industries on the planet: the food industry and the pharmaceutical industry. In 2016 selling prices for blueberries are 2-4 euros/kg. It takes into account the freshness (fresh, frozen, dried), variety, quality. Although we can not say that it is a demanding plant in terms of growing conditions, but excessive soil moisture can destroy the blueberry plants. Substantial productivity is obtained after the 3rd year of cultivation. After year 3 the productivity gets bigger each year. In the 3rdyear, on 10000 square meters growing area you can harvest about 1000 to 1500 kg of blueberry fruit. 0 Response to "Growing blueberries"